Rated 1 out of 5 by Robyn from What happened to the lighted paddle? I have installed many lighted paddle switches in the past as they allow me to find the switch in the dark. I just installed a 3 way switch and thought there must be something wrong with it as I can't see the light. I even put in a new switch; still can't see the light. Then I put in a single pole switch for a closet. Same thing, not lit up. Saw a pin dot at the top and wondered if it had a sensor. Covered it and still no light. Came here and read this review about the pin dot I see is actually the LIGHT! You've got to be kidding me! These are all going back to Lowe's. Hope I can find the ones I have always installed in the past, the past only being 2 years ago. I am very disappointed as I can't believe a little pin dot of light is considered effective in finding a light switch in the dark. Not a very bright idea. Rated 2 out of 5 by Curt from Useless "Lighted" Switch Seriously the smallest of small pin hole above the switch that contains a light. 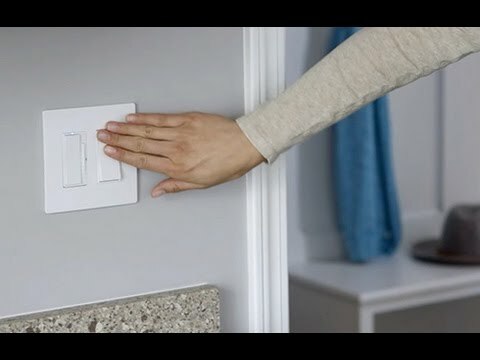 In a pitch dark room you will still struggle to find the "lighted" switch. I was not looking for a nightlight just something to assist with location of the switch in a dark stairwell. Rated 1 out of 5 by BobP from "Lighted" is a misnomer Like the others I assumed a lighted paddle switch meant the rocker switch was backlit. I installed it and thought something must be wrong since it didn't light up. At dark I saw this little pinhole that I guess is what they call "lighted." A waste of money. Rated 1 out of 5 by Chip from Lighted Switch HAHA Do NOT waste your time and money to buy this. The older one had an orange light that ILLUMINATED the switch. THIS IS JUNK! Scenario: Standard LED can-lights operated from 2 switch locations (3-way). Would like RHCL453PW (Dimmer) for 1 location and TM873WSL (On/Off) at other. Problem: TM873WSL states &lsquo;incandescent&rsquo; only. Would this &lsquo;3-way&rsquo; combination nevertheless work? The TM873WSL is an illuminated switch that may have the possibility of flickering when used with LED bulbs. The non-illuminated switch(TM873W) would be the switch you would want to use. Hi, I'm redoing my kitchen. I installed a couple of your paddle switches #R2621GRYCC8 they are gray. Looking for 3 way lighted paddle switch in gray but all I can find at Lowe's is white. Do you have in lighted in gray. The Radiant 3way Paddle switch is available in gray but it is not available in the &quot;lighted&quot; version. 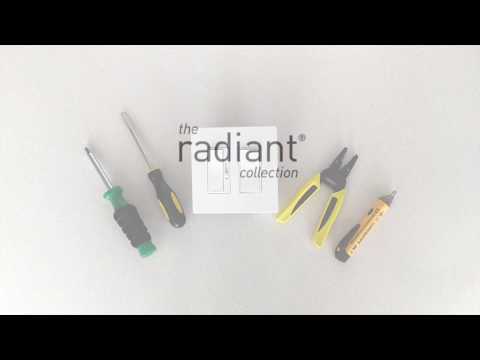 https://www.legrand.us/search.aspx?q=tm873gry The Radiant Illuminated switches are available in White, Ivory, and Light Almond only.